Our club is led by seven officers who all work to make of our trips possible! 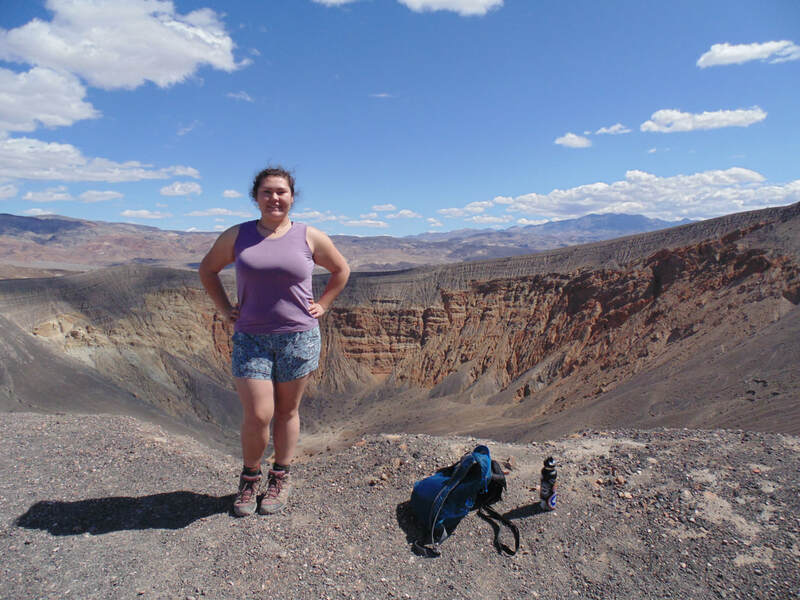 Marika is a current earth science student studying geology. She conducts research in the ice core lab under Ed Brook. In her free time she enjoys meeting with geo club and karate kempo. Brandon is majoring in geology and getting a certificate in GIS. He likes to hike, slack-line, fly-fish, surf, backpack, read, cook, and long walks on the beach. He's also an avid tea drinker. He is a large part of the geology community and geoclub is fortunate to have gained him as their VP. Geology is something that has always fascinated Elora, but zoology is her true calling. Some of her other hobbies include hiking, camping, boating, and riding dressage. Elora is also a member of the Terry lab where she helps with the stable isotope analysis of small mammal species. Even though she am not in the geology department, all the wonderful people in Geoclub make her feel right at home everyday. She have met so many amazing people and experienced so much thanks to the club! Tiff is another geo major working in the mineral separation lab under Jade Bowers. Tiff will graduate Fall 2018 and hopes to go into the National Park Research to see a moose. Coral is double majoring in German and Environmental Sciences with a specialization in Applied Ecology and certificate in Outdoor Leadership. She's a photographer, gardener, world traveler, music lover, and outdoor enthusiast involved in several other clubs on campus including Envi Sci Club, Veg Club, and the Photo Society of OSU. Coral says Geoclub has been a rewarding way to meet other CEOAS students and share mutual love for the environment and fascination of natural wonders. She's excited to be an officer for the club and, of quartz, looking forward to another gneiss year with us. Emma is majoring in Environmental Sciences with a minor in Oceanography. She volunteers in the Lubchenco/Menge Lab in the Integrative Biology department under Alissa Rickborn researching ocean acidification and loves to be out in the tidal pools. She likes to hike, fish, camp, and do anything outdoors. Hannah is an ocean science major and working towards a certificate in GIS. She is currently involved in a research internship looking at dune morphology in Peter Ruggiero's lab. She hopes to later pursue a Masters and PhD after graduating. I enjoy doing anything outdoors, but love surfing, hiking and fly fishing.